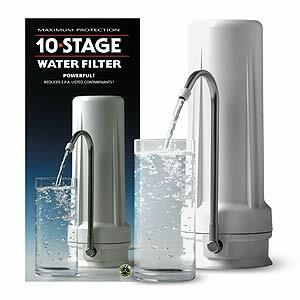 The New Wave Enviro 10 Stage Water Filter can remove a lot of contaminants from your tap water while keeping healthy minerals. This filter comes with a 10 stage filter that lasts up to 18 months without a cartridge change, making it a convenient and affordable choice. Do you live in an area where bad odor or taste of your tap water is a problem? 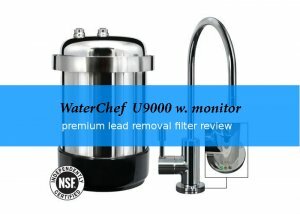 This filter will definitely improve the quality of your drinking water. If you have small kitchen with limited counter space, this filter is designed to take up very little space. Switching between filtered and unfiltered water is easy. Just pull the small pin on the diverter valve and all water passes first through the filter before it comes out of the tap. As soon as you close the tap, the pin automatically returns to its old position. This handy feature helps to avoid filtering water when it is not really needed saving you money for replacement filter cartridges. in your water making it not only taste and smell better, it also helps you to avoid a lot of harmful chemicals. 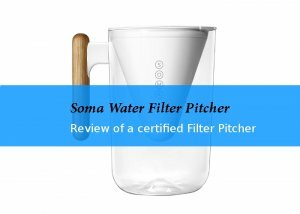 If you look at customer comments on this water filter system, you will read positive feedback from a lot of long term users. They usually praise the great taste of the water as well a the little space the unit requires. Many also mention the high flow rate which is nearly as high as when taking water directly from the tap. 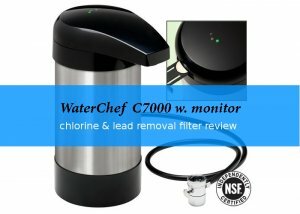 Another positive aspect of this system is the calcite included which increases the water’s pH and lowers acidity. Problems just seem to occurs after longer use when you want to open the casing to replace the filter. Minerals tend to build up around the base threads. This is easily resolved by soaking it in hot water and vinegar for 10 minutes and should not keep you from buying it. Desirable minerals like magnesium, potassium, calcium, etc. stay in the water. Works only with municipal water. Just in case you are not happy with your purchase, this filter system comes with a 30-day unconditional money-back guarantee and a limited one-year manufacturer's warranty against defects in materials and workmanship. It sells usually for around 80$. Often you will be able to buy it cheaper at i.e. Amazon. 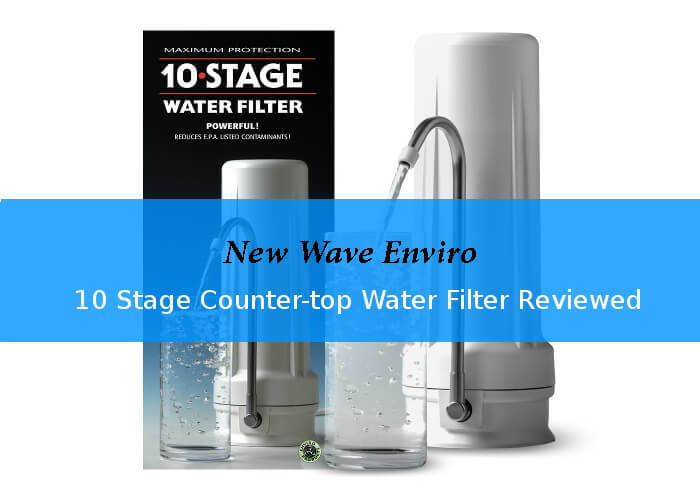 If you are a more visual person, watch this video to get an idea of the size and features of the New Wave Enviro 10 Stage countertop water filter.